Ham is one of the most succulent foods of our land and in Cesavas we have always taken care of all the details, so you do not lose the taste and quality of your ham. We are specialists in manufacturing all kinds of items for your ham, with traditional care and with an economical price. Since 1980 we have brought to the market the best products related to this food so typical of our land, and proof of this is that we have a wide range of products in our catalogue where you can buy everything you need. We are currently leaders in this sector, since all the products in our catalogue have the highest quality, are useful, economical and will take care of your pieces of ham. Our biggest claim are the covers for hams of different styles and colors, but we also have ham holders of all types for any piece, or ham nets made of mesh in different sizes. In addition, in Cesavas we have always taken care of the aesthetics of ham. For this reason, we put at your disposal decorative elements manufactured with finest quality materials, such as the cords and the protectors. 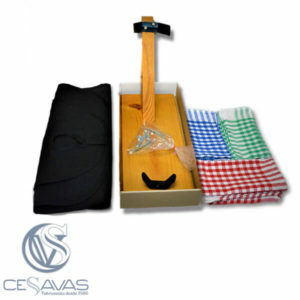 Due to our great experience in the sector and the quantity of products we offer, Cesavas has become a distinguished brand. The SUMUN CLASS ham cover provides professional ham cutters with everything they need to develop impeccable work. It is a ham case with a classic and conservative style that does not go out of style and that gives your establishment or event a unique touch. 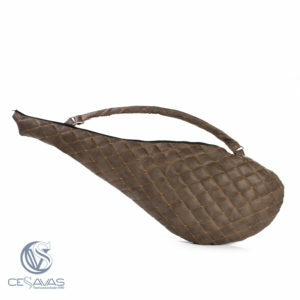 In addition its premium materials make it an essential accessory for the preservation and transport of your piece of ham. Dressing a piece of Spanish ham with a quality and personalized cover increases the value of our Spanish ham. 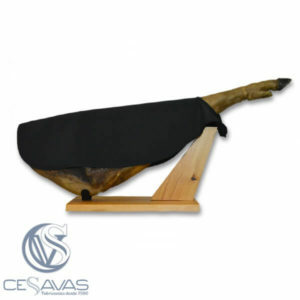 The presentation of a piece of Spanish ham also determines the quality of service of a professional Spanish ham cutter. 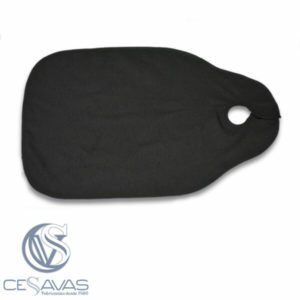 With the fully customizable SENIOR Spanish ham cover and 100% cotton we guarantee the highest quality and performance for the conservation and transport of your Spanish ham. 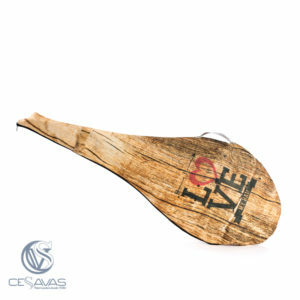 That’s why in Cesavas we have Spanish ham covers as the fully customizable LOVE cover to give it the personal touch you like. Made of high quality materials that guarantee an optimal preservation of the Spanish ham to keep all its flavor and aroma intact. 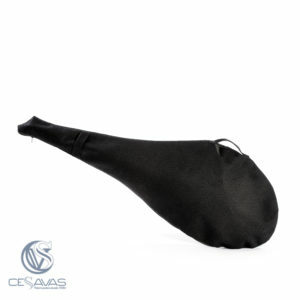 Presentamos este sobrio y elegante cubrejamón de sencillo uso, ya que gracias al velcro que se encuentra en sus extremos podrás proteger tu jamón del mal que puede ocasionarle la luz o el aire. Este producto está elaborado en algodón y poliéster a partes iguales por lo que aporta al jamón toda la transpirabilidad que necesita. Y para los profesionales jamoneros, debéis saber que por la compra superior a 10 unidades tienes la posibilidad de personalizar tu cubrejamón. Y dale el toque distintivo a tu negocio. Con este delantal industrial fabricado con poliéster y revestido con PVC por sus dos lados hará que en la cocina no se te resista nada. Todo ello gracias a su material que te protege del agua, de la gasolina, de grasas y aceites y de diversos ácidos. Además tiene propiedades ignífugas y es irrasgable. No se nos ocurre mejor compañero de trabajo para el día a día en la cocina, laboratorio, o en el puesto de trabajo en el que requieras de equiparte con este delantal de PVC de calidad. Why are we the most competent? If our products have stood out for a long time throughout all the years we have been active, it is because each of the items we offer in our catalogue has been produced with the highest quality. There are many products that we have, both those related to ham, and those that focus on providing everything necessary to the hospitality business, dealing with cleaning and hygiene, among other things. All our products have the best guarantees and are perfectly adapted to meet the needs of customers. 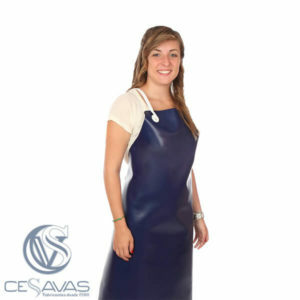 The quality, the price and the variety of articles, as well as the experience that supports us within this sector, which has made Cesavas position itself among one of the most competent companies within this market. Since 1980 we have been providing the best pieces with the highest quality products and offering other items for the hospitality trade that are essential in their day to day work. This has led us to be a distinguished company and more and more users choose us as their trusted provider. No less important, we have also managed to adapt ourselves to new times, offering all our products from the online catalogue to make it easier for the items to be purchased by anyone. With just a few clicks you will have your order ready and in a short time you will be able to enjoy the highest quality and give that unique touch to your ham and your business.